You know how some days you just get up and say “Today, I am gonna be productive.” …and then you take a nap? Well, that is like my daily routine but I am having a surprisingly productive day today so I figured I’d start this post earlier than planned. Here it goes! 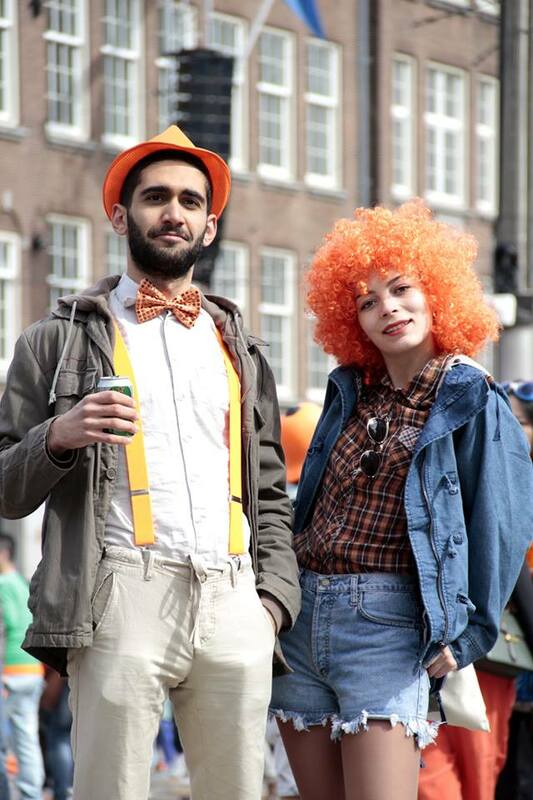 Koningsdag. 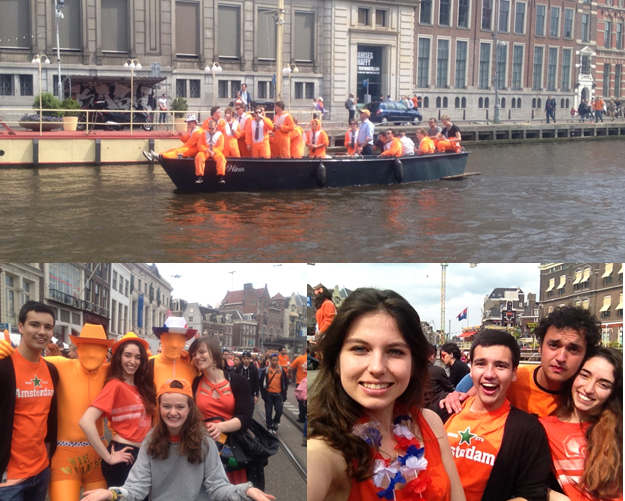 King’s Day. One big orange party! It was 4am when I finally got home and into my bed from a night of partying just to get back up in a few hours. We were going to meet up at the station with a group of friends and take the 10.43 train to Amsterdam. I, however, woke up at 6am and couldn’t go back to sleep no matter how hard I tried. 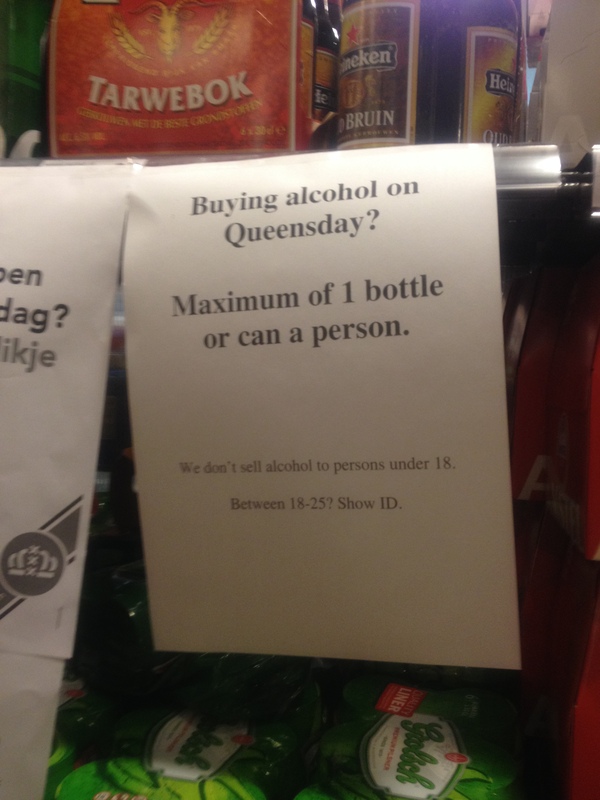 Oh well, I still felt ready to take over Amsterdam and was very excited because I had no idea what to expect! I think that’s one of the best feelings in the world, sailing to the unknown – especially if you are with an awesome team! I expected Amsterdam to be crazy crowded and thus assumed that the trains would also be crazy and it would feel like a metro ride in Japan. (You know, where they have people whose job is to push people into the metro in order to fit more people!) 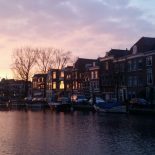 But contrary to my expectations the train ride to Amsterdam was very smooth and we were even able to pick up a friend from another station without any difficulties. NS had added extra trains for this day and ended up carrying 270.000 people to Amsterdam. Wow. Right? So you can imagine that it was a huge party that took over the city! Everyone was still hangover from the night before so our first stop was of course Albert Heijn To Go to grab some coffee. Then we joined the joyous crowd. The motto of the day was Keep Calm and Wear Orange. Well actually no one had any intentions of “Keeping Calm” but you get the idea. The moment you left the station you were greeted by marketing geniuses –as can be seen below- selling everything from t-shirts to hats and glasses, all in orange. I tend to think that special days are about being together so that is basically what we did; walking around the city, drinking, talking eating and dancing. There were small tables on the streets where people were selling the things they cooked/baked. Small markets had popped around as well. I don’t know the exact number of DJs on the streets but there were a lot. We met lots of interesting people because everyone was so open – especially on this day, more than ever. 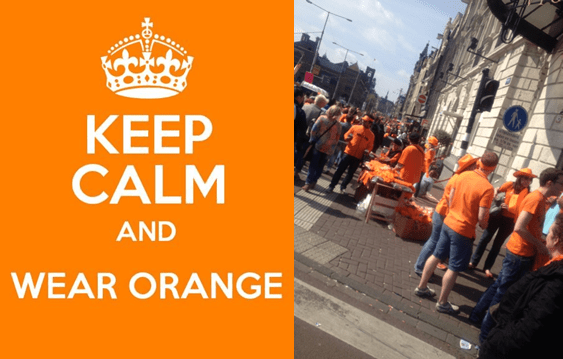 This entry was posted on May 2, 2014 by admin@theleidener in Culture, Ecesu, Living in Holland and tagged Amsterdam, Ecesu, koningsdag.